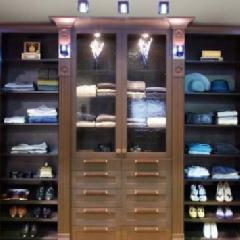 Custom closets designed online to fit your needs and budget. 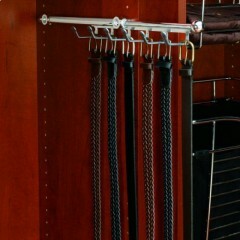 Easiest do-it-yourself installation of your custom closet and free shipping! 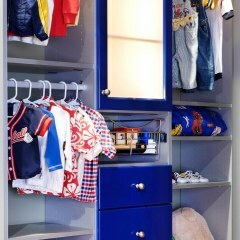 Custom closets are best when designed by you. This way, you get exactly what you need and a personal touch. 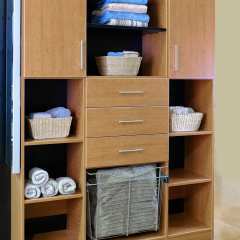 Unlike pre-made closet systems, you get a design perfectly unique to your home. 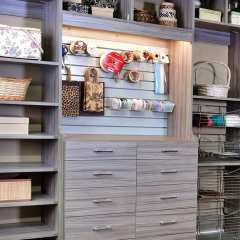 So not only will you maximize space and get more organized, you’ll also add aesthetic appeal to every room in your home with styles, textures and hardware of your exact taste. You’ll be surprised how simplistic our online design tool is but, if needed, our live design professionals are just a phone call away. They review every single design to safeguard accuracy before going into production. 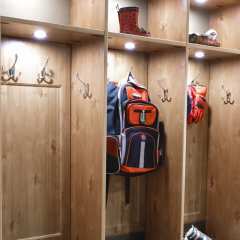 With a Closets To Go custom closet, you’ll see and feel its top quality materials and appreciate the environmental friendly standards used while being custom manufactured and assembled in the USA. 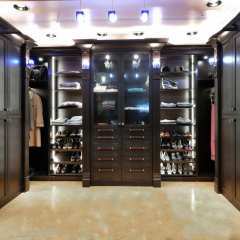 Whether you're designing a custom closet yourself using our simplistic online design tool or working closely with one of our expert designers, we guarantee your custom closet will surpasses your expectations, will be budget friendly and will last a lifetime, or your money back. 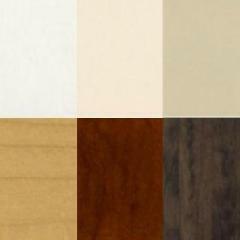 Get started today by clicking the "Start Designing" or "Request Design" buttons or browse our online showroom for inspiration. I would recommend Closets To Go. The system installs easily and their designers did a great job. I love my closet. 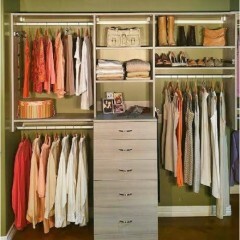 I now want to do some of the other closets in the house. The service was great. I used Closets To Go when I lived in Portland. We moved recently so I used their online service. Our designer was great with working with our very custom needs. She redid the design a few times, after asking a lot of questions, that I hadn’t thought of. 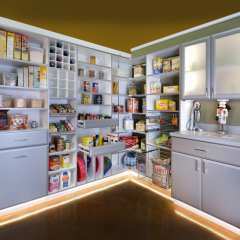 We have a coffee bar and wine frig in our closet so she designed for those areas and it all turned out so well. I couldn’t be happier.